Copy keywords and paste them in full in Google Keyword Planner to get the predicted amount of search. Again, the query statistics will be based on Google’s traffic, but, nevertheless, it can be useful when ranking keywords in relative terms, so you will know which keywords will generate the most targeted traffic for you. Google Keyword Planner and Keywordtool.io are useful for determining the amount of search, but they do not answer the most important question: which keywords generate the greatest number of sales! Here is where a cross-reference to your keywords using the Jungle Scout tool is very useful. Take the list of keywords you compiled with Google Keyword Planner and Keywordtool.io. If we analyze the results and consider the ratio of the average sales volume to the average price for each of these keywords, we will see that “men’s training gloves” have the highest average monthly sales figure, but they are the segment with the most competition ( due to the largest number of reviews). Half-finger gloves have poor sales figures, and some of the best-selling products in this category are incredibly cheap (how can a glove for 2.22 dollars bring any profit?). This is only a small example of what kind of work can be done on the selection of keywords in order that they are highly ranked and become a good source of profit. 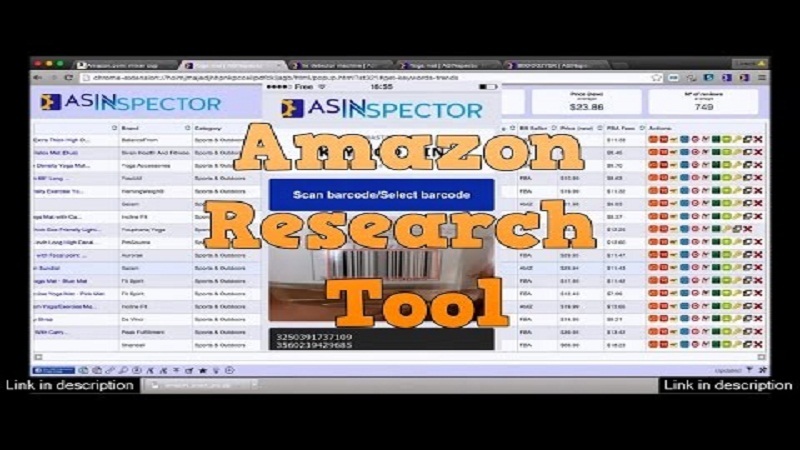 And if you have not chosen a particular type of product, Amazon Keyword Research Tool will help you determine exactly the kind of product that will have the highest potential. For example, this analysis revealed that men’s gloves with wrist straps are sold better than women’s gloves, so you better choose this type of product for sale before investing your money and time in developing various options and sizes for this product.